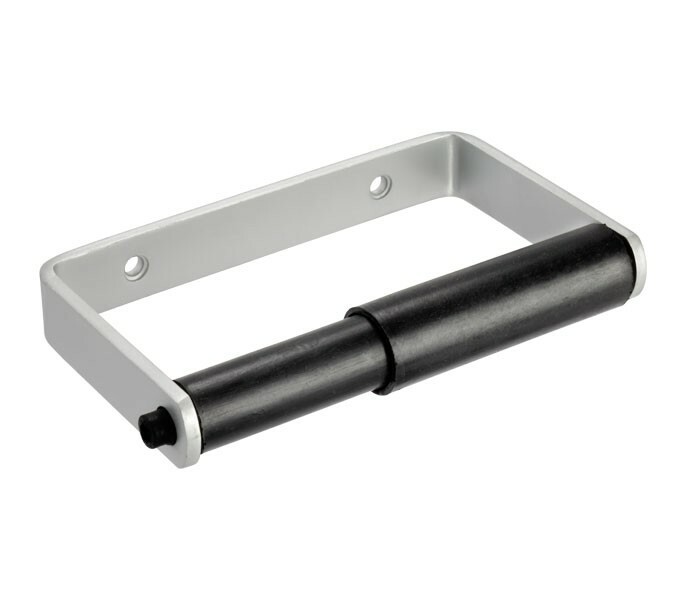 Ideal for those requiring low maintenance bathroom accessories, this toilet roll holder with surface fix is manufactured from satin anodised aluminium offering exceptional abrasion resistance with a natural metallic sheen. Guarantee a secure fix by firmly positioning the toilet roll holder straight and at a comfortable reach for when washroom facilities are occupied. Our toilet roll holder in satin anodised aluminium with surface fix is sold singly and supplied complete for fixing screws ready for installation. The item measures 134mm in length and 80mm in height.